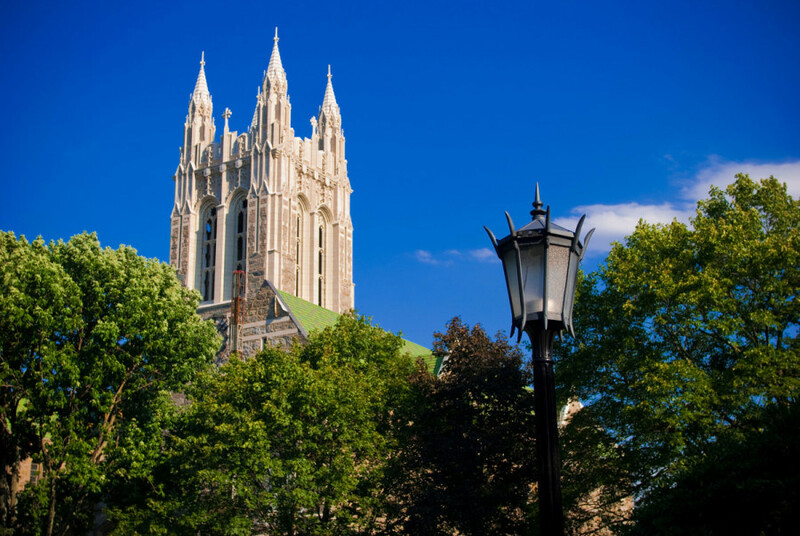 A Boston College student has been arrested and suspended after allegedly scrawling disturbing racist graffiti inside one of the university’s dorms. Police this weekend arrested the student, who has not been identified, and who faces charges for assaulting a police officer and destruction of property. He will not be allowed back on campus for now and could be expelled for actions described as “deeply offensive to all of us within the Boston College community,” according to a statement from Joy Moore, BC’s interim vice president for student affairs, posted to Facebook Sunday. Photos published on the website for the school newspaper The Heights and shared on social media show hateful messages, with heavy use of the n-word, written in what looks like black marker on furniture, a mirror, blinds, and other surfaces in public areas of Welch Hall. Separately, the student is accused of spraying a fire extinguisher in the laundry room of a Walsh Hall, another dorm on another part of the campus, and of assaulting a campus police officer during his arrest. Boston College has been targeted by racist vandalism in the past, including in 2017 when someone defaced a “Black Lives Matter” poster inside a residence hall, prompting hundreds of students to walk out of class in protest of racism.